Case 12 E: The top two pictures show the completed orbital osteotomies. The long sutures will criss cross to effect canthal repositioning and their fixation. 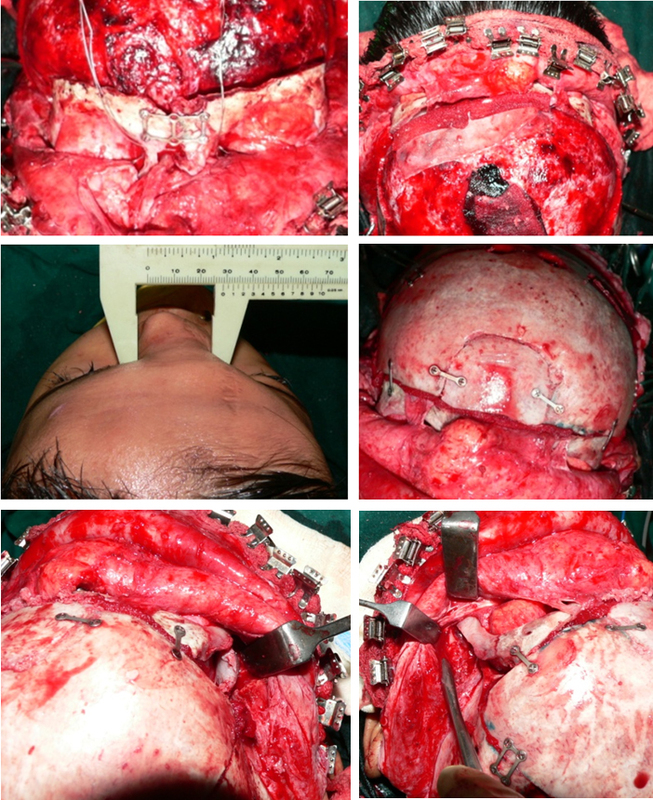 The middle two pictures show the reduced intraorbital distance and a cranial bone graft fixed to the frontal defect. The lower photographs show fixation of the orbits and the bone grafts to the defects created by movement of the orbits.